Aaron Garcia: Another One of Golden Boy’s Prospects. 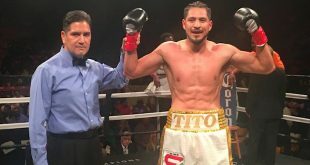 Home / Boxing Results / Aaron Garcia: Another One of Golden Boy’s Prospects. Tonight’s HBO Latino “Boxeo De Oro” boxing series kicked off with Golden Boy’s 126-pound prospect Aaron Garcia making his television debut. Garcia is an aggressive young charge with very solid skills, good hand- speed, and the amateur pedigree needed to succeed in this sport. The young warrior from Vista, California was pitted against a tough Mexican in Javier Flores. 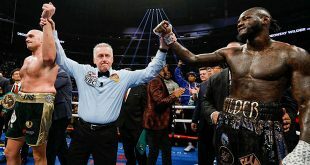 After an active first round in which Garcia completely dominated, Aaron put Flores down early in the second courtesy of a four-punch combination that ended with a left hook. Flores beat the count, but was put down again with about one minute left in the round. The game Mexican rose, and was pummeled with hard hooks to the head and body, but was able to last the distance, and heard the bell. Garcia came out like a tyrant in the third and continued to mercilessly punish Javier, who was in full retreat, along the ropes. Flores showed some grit by standing his ground, midway through the round, and exchanging artillery along the ropes. Aaron seemed to slow down, and was unable to keep up his frenetic pace. Aaron closed out the fourth and final round of the contest with some solid work to both the head and body. His television debut was a success, as he won a unanimous decision. Garcia has some solid skills, and showed a lot of promise as he is an active, aggressive, offensive fighter. He is definitely one to watch. Previous Duddy in Open Workout. 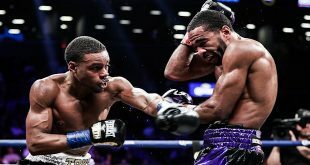 Next Jonathan Oquendo: Golden Boy Promotions Does it Again.